The United Mine Workers of America was formed by coal miners, and they remain our largest membership group to this day. The UMWA is the largest union in North America representing coal miners and is one of the largest in the world. The UMWA proudly represents workers in and around underground coal mines, surface mining operations, and preparation plants. The UMWA also represents miners of all types of metal, hardrock, and other materials. Our members mine everything! "I do not understand the right-to-work mentality. It is the 'right to work for less.' The non-union workers are willing to work for pennies instead of standing up and demanding what you are worth. Come and join the greatest labor union in the world." Mining is a dangerous job. But it doesn't have to be unsafe. 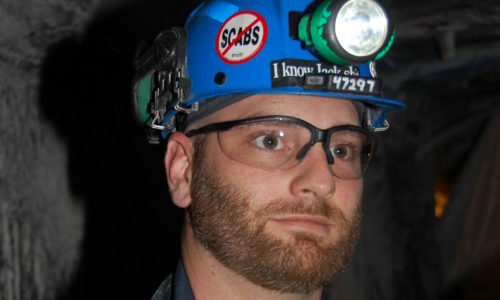 Studies show that the UMWA provides a safer work environment for miners working above and below ground. The union prioritizes safety, to make sure all of its members come home safe and sound after every shift. UMWA contracts also promote job security, a fair wage, and a strong voice at work. Looking for a safer work environment with good pay and benefits? Learn more about the benefits of being a UMWA member by clicking below. To speak with a UMWA representative, click here to find the Regional office closest to you.